If my horse goes lame after being shod, should I call the farrier or vet? Q: If my horse goes lame immediately after being shod, should I call the farrier back, or get the vet? A: Great question Belinda. Unfortunately, the inevitable does happen occasionally when a horse is sore after a hoof-care appointment. We trim and/or shoe horses primarily in order to make them more comfortable. During this process, we must make some decisions about how much to trim off their hooves, how to fit the shoes and so on. These decisions are based on experience, the knowledge of the horse we are working on at the time and the understanding of the techniques we are applying. As with anything, we all sometimes make an error of judgement or get caught out by something that we didn’t foresee. 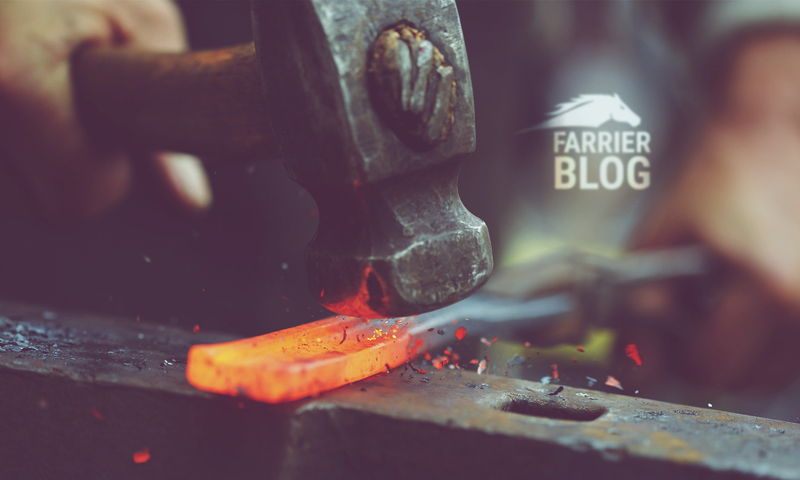 All farriers experience sore horses from time to time –owners should really be aware of this. To answer your question, I would recommend that if you have a horse that is sore soon after shoeing to do a quick check over first. Checking that there are no obvious injuries, cuts of swellings elsewhere could reduce the level of embarrassment when the farrier rushes back only to point out that the horse has had his leg in the fence! However, I would recommend that you do consider calling the farrier before the vet and at least ask his opinion about the best course of action to take. It may be that he is close by and can drop in to have a look for you. Alternatively, he may recommend that you call the vet. Whilst good farriers have a huge understanding of the hoof, vets have a comprehensive knowledge of the overall horse. There is always a good chance that a lameness so soon after shoeing can be as a direct result of the shoeing. In this case, your farrier may be a good person to identify the problem and make some suggestions. I recommend that soon after you call the farrier, that you call your vet and seek their advice. The vet may think that it is a good idea to let the farrier have a look first too but may want to visit and give a diagnosis or check the current tetanus status of your horse. Your choice in farrier is so very important. The standard of work and the service he or she provides will reduce the chances of these types of problems. You may want to consider whether your farrier is qualified, if he has had any suitable training, his level of experience and his reputation with vets and high-level competition riders. This question and answer was originally printed in New Zealand’s leading equestrian publication – NZ Horse & Pony magazine, January 2007. Previous PostPrevious Why use concave horseshoes?